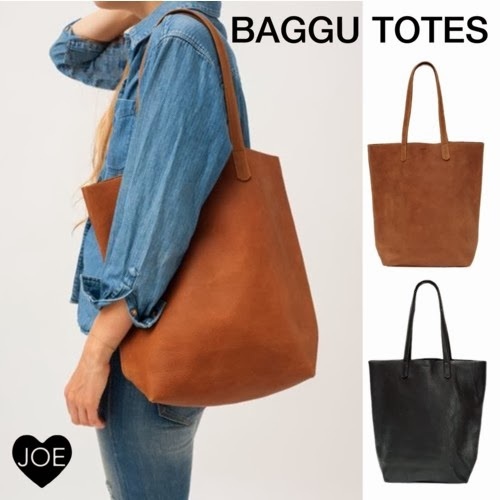 The wait is over- BAGGU leather totes have arrived at JOE! These gorgeous bags are the perfect size for everyday necessities, available in black and brown. The shape is ingeniously simple, and the only way to describe the softness of the leather is, like butta. It's a rush, we know. 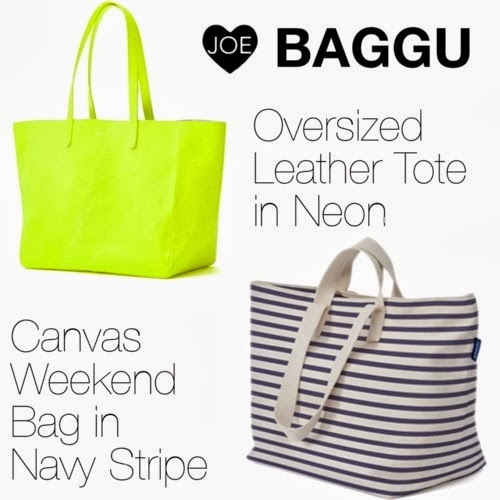 But don't forget about our other (and equally popular) bad from BAGGU - the Oversized Leather Tote in Neon adds a perfect pop of brightness to any outfit, and the Canvas Weekend Bag will easily fit all of your overnight essentials, without making you look like a crazy bag lady. Both are equally simple, and will last you a lifetime.